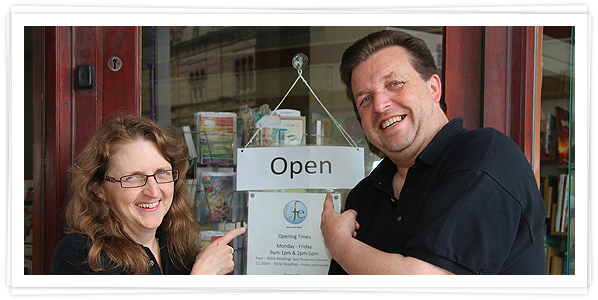 We started from scratch in August 2011 with a little new stock initially of Bibles, second hand books, music and teaching CD’s and dated material (daily readings/devotionals) and cards. Some of which were good quality hand made cards by local artists. Thank you for bearing with us as we found our feet in this exciting endeavour. For us the most important thing was to have an open door in the centre of town and a Bible in the window for people passing by to read on their way to work, school or shopping, and that's where we started. God's word on the street. 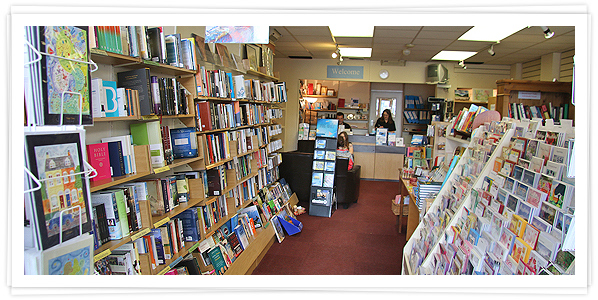 Five Years on we now have a fully stocked shop, with Bibles, Christian books, cards, gifts, pictures, DVD's, CD's, magazines, Daily reading notes etc. God has supplied all our needs. 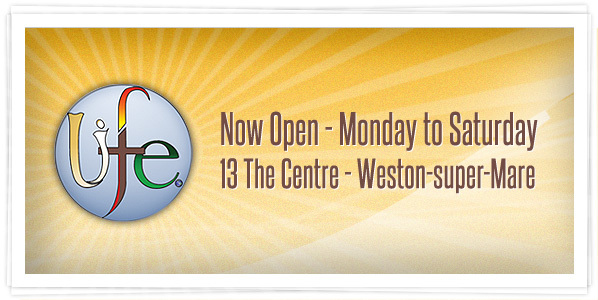 We are loving meeting new people, as well as regulars, all the time! 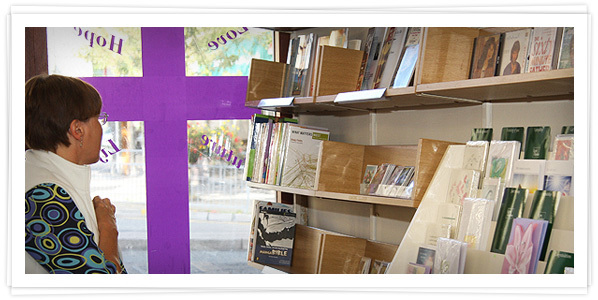 We read the Bible and pray daily at the shop from opening time for half an hour or so and have had many people join us for a season, both new believers and more mature in the faith, as well as some yet to find faith. It is encouraging to be meeting with other Christians from around Weston and beyond for Bible reading and prayer like this. If you want to join us anytime just come along. We pray for our town, our neighbours, the Church in Weston and the wider world, that God's kingdom will come and His will be done and Christ be lifted up so that none need not know Him. 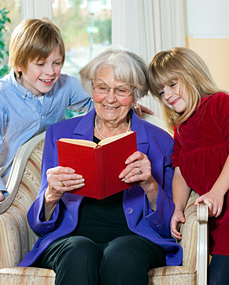 We do not have an online shop as for us the personal approach is what is important. 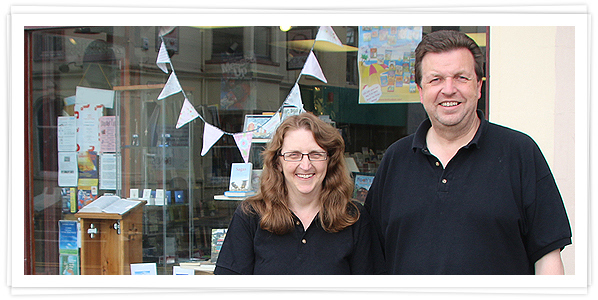 Many people would rather see a book and hold a gift Bible before buying it and that is at least partly why we think it's important to have a shop in the high street. 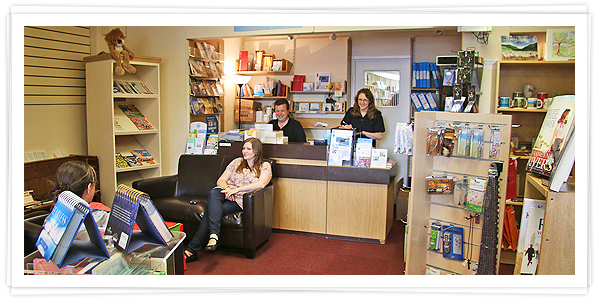 If you are not able to get to us please call or contact us anyway we are happy to post to you if it helps or put you in touch with a Christian bookshop nearer to you. 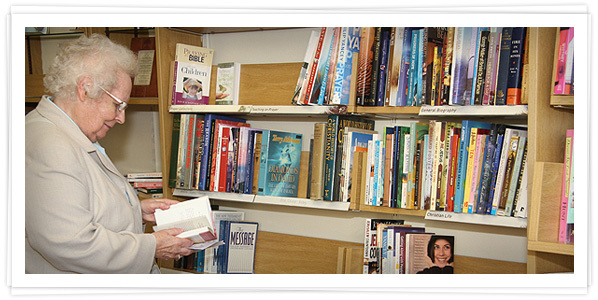 Please contact the shop by the various means available if you want to know more, or would like a bookstall at your church, daily readings or magazines on a regular basis, if you would like to help, or want to donate good quality second hand books.